Yeah, that’s right. I am an online ageist. But I mean this in a good way. I mean this in the way that you all understand why To Catch A Predator with Chris Hansen had a reason for existing (oh Chris Hansen…you really cheated…online…and got caught…really?). On all of the online dating sites they ask what your age range is, which makes perfect sense. It would make sense that as a 24 year old, I would ideally (IDEALLY…notice the italics) date someone a little older, but not too old. Like say 26-29, maybe even 30. Ah, if only it was that easy. The problem I find is two-fold. One of those folds is this: I was on Jdate about a year ago. And I am sorry for all of you out there that LOVE Jdate, but I have to say, come on. All I found on there where creepy older men whose requested age ranges were like 18-22. And these men were probably like 40-50. Really, dudes? Come on, that is just creepy and gross. And beyond the fact that they were creepy older men trying to hit on younger girls, they were all nebbish, weirdos. So HOT!!! Well, I finally did get into a conversation (or as much as you can) with one guy, who turns out was 12 years older than me. At first, I was hesitant. And then I was still hesitant. 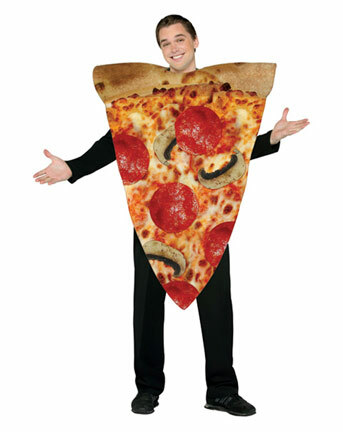 And then when he asked me out for “a slice” (yeah, of pizza), I remained hesitant. Because, I’m sorry…a 35 year old man asks a women he doesn’t know out for a first date for a fricken slice of pizza? No. NO. Hell, NO! Gentlemen, at least (at the VERY least) a drink. Man Up! Buy a lady something more than a slice...and extra topping don't count! So now I am on a few various sites (really in the name of research humor). There is one site I am on where every single email I get from them with my “date selections,” the men are 37, 44, 48, 41, 43, 45, etc…you get the point. I’m sorry, but really? Because Dating Site, if you really wanted to ACTUALLY match me with someone, why are you sending me people who are more than 15 years older than me? The other fold is this: I am not a real life ageist. And this is the thing that I think is really key. I don’t go out to bars or parties, or wherever else I might meet guys and not talk to them because they are a certain age. (Well, to a degree…if you will recall a few weeks ago some old guys tried to hit on me at a bar with gum. But old is old, no matter what. I am more talking about the fringes of age that you might not normally consider online). I don’t really think that’s how people act. I think if you are attracted to someone in person, you tend to look past certain things because step number one (a physical connection) already has been checked off. It’s later that you go google/facebook stalk/etc the person. But, for real, I think the list of online qualifications that we don’t really look past online totally doesn’t match up with the way things work in real life. But what do I really know…I am sad and single in both realms. Opinions? This entry was posted in Confessions, Sad Stories, Single Points of View and tagged Age, catherine zeta jones and michael douglas, Creepy, Jdate, may december romances, online ageist, Online dating, SLice of Pizza, To Catch A predator with Chris Hansen. Bookmark the permalink. ← From the Mind of A Male….